The Festival lasts until April 22nd. Day one will start on the 2nd, and continues through the 3rd. It's now good as new! Somewhere around Roo Island. Somewhere around The City of Sakhmet . Somewhere around Faerieland or Faerie City. High in the mountains Somewhere around Shenkuu. Watch for flying pies! Somewhere around Haunted Woods or the Deserted Fairgrounds. Plays tournament host Somewhere around Altador. air, Grundos like it! Somewhere around Kreludor. This place is for you! Somewhere around Kiko Lake. Let worms light the way! Somewhere around Moltara City and the Moltara Caves. Fave Yooyuballer Somewhere around Space Station, Recreation Deck or the Hangar. Some of its highlights Somewhere around Mystery Island and Geraptiku. And Kadoatery Somewhere around Neopia Central, the Market Place, the Bazaar, or the Catacombs. Pastel coral, shells Somewhere around Maraqua and the Ruins of Maraqua. Visit will take you Somewhere around Qasala. (Just ask the Governor!) Somewhere around Krawk Island and Warfs Wharf. Browse through some rubbish In this provincial kingdom Where veggies abound! Somewhere around Meridell and Meri Acres Farm. To this woeful land Somewhere around Neovia. Can both be found here Somewhere around Terror Mountain Happy Valley, Ice Caves, and Top of the Mountain. Grab an omelette slice Or catch a band in concert Beware The Beast's lair... Somewhere around Tyrannia and the Tyrannia Plateau. Hagan must be proud Somewhere around Brightvale. For collecting all 20 Patterned Neggs on their release day, you will receive the following items. Note: Those that collected 19 of the Patterned Neggs received the Winged Negg and Shoppe of Neggs Background. Zaira is on a new mission to help Kari with the Negg Festival. She has discovered a journal with the details of some sort of uber-powerful Negg. 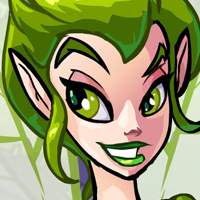 You will be able to help her track down this Mysterious negg by visiting the Negg Faerie Assistant's Alcove. 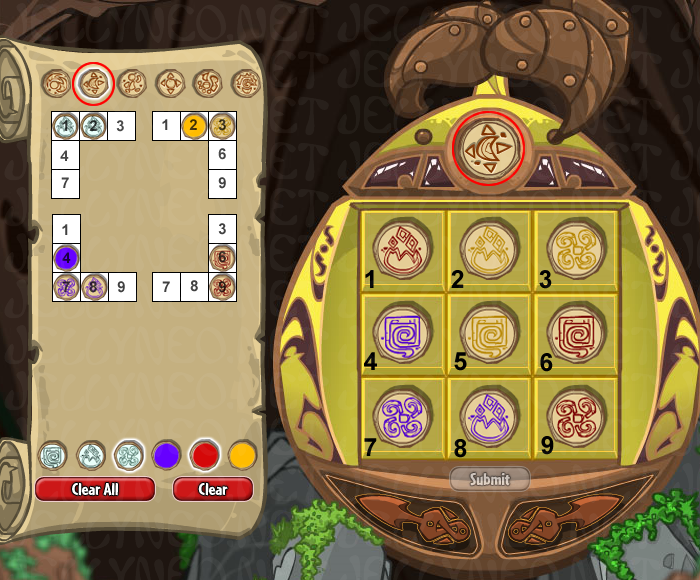 The first part of the quest involves a Logic Puzzle. You join the Negg Protection team as they set out to hide the Clockwork Negg. They each take one negg to a different Neopian land. As clues are given, you have to determine what team member traveled to what world to hide what negg. You can use our Solver Grid to put the pieces together. (Alternately, we have provided a blank grid if you choose to solve the puzzle on your own). For instance, the wizard of the team (whose name is Selvin) insisted on not going to the Lost Desert�something about a fear of Scamanders, apparently. That was fine with the rest of us, so it's been decided that the wizard would go elsewhere. Meanwhile a team member named Voughn, who appeared quite taken with the look of the cloud Negg, insisted on taking that one to its destination. Again, there was no argument from the rest of us, so that's settled. 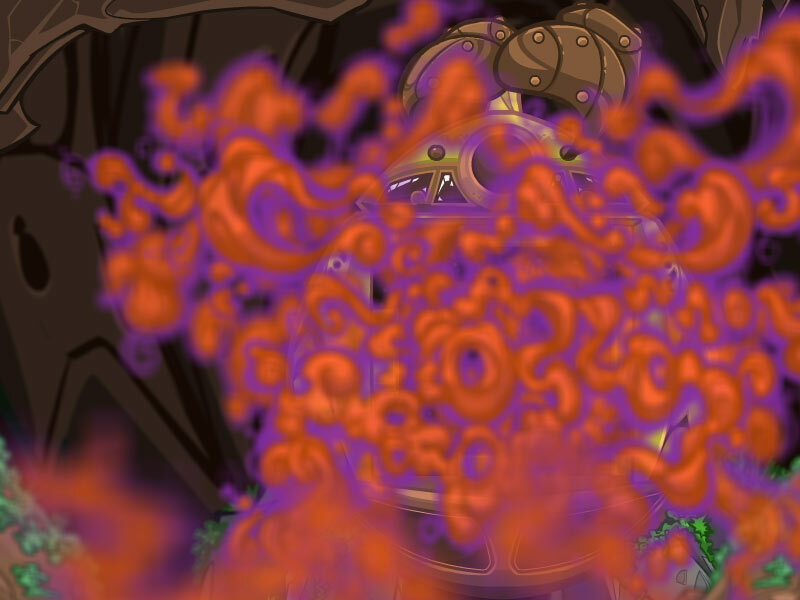 It seems our wizard is not so fond of Brightvale, either. Could a sudden plague of Scamanders have taken over King Hagan's realm, too? Anyhow, the traveller responsible for delivering the glass Negg was more than happy to go there. Speaking of the glass Negg's transport, it certainly seems like that would be a lot of pressure to live with—after all, one misstep or accidental drop, and smash! There goes your precious cargo. On a lighter note, luckily for our volunteer, they've had unseasonably good weather along the route to Brightvale lately; here's hoping that it continues 'til the journey's conclusion. We will be combining the information given for the logic puzzle into this grid to make the information easier to sort. (Alternately, we have provided a blank grid if you choose to solve the puzzle on your own). *Current answers are based on clues given. Official solutions will be revealed on 4/18. So, it turns out that secret of the journal has been deciphered! Apparently, Rutu the poogle botanist was in possession of the Clockwork Negg, which was hidden away in Shenkuu. With so many smart Neopians working on it, I was sure that someone would figure it out. Still, I'm relieved to learn that the truth's been uncovered! Maybe come back by tomorrow and we can take a closer look. I need to get back to the Neggery for now. For correctly guessing on the first day (Day 4 of the puzzle), you will receive all prizes. If you guessed correctly on the following days, you will receive that day's prize and below. 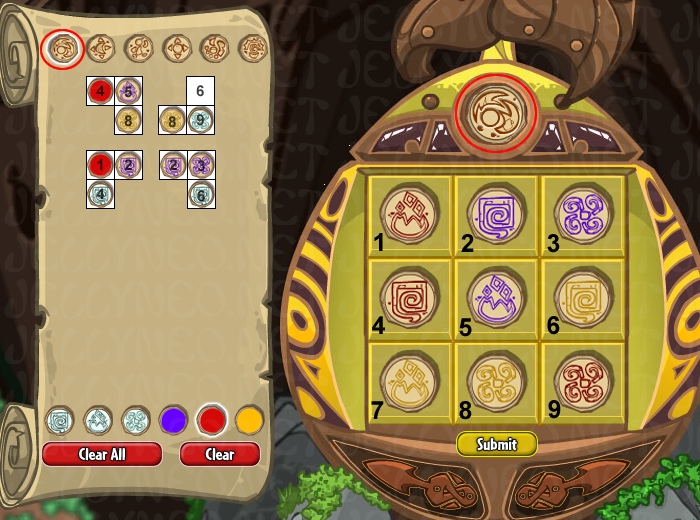 In this step of the mysterious negg puzzle, you will need to crack the code on the Clockwork Negg. Enter the Hidden Cave and click on the Ancient Negg Scrolls. You will then be faced with a cryptic puzzle on the Negg, and will need to solve 3 sides of this Negg in order to continue. 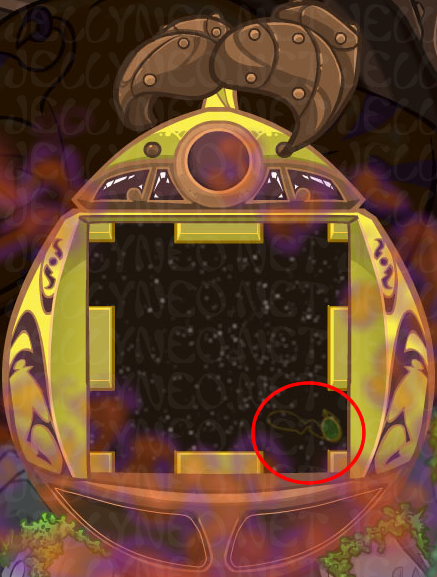 To solve; at the top of the negg, there will be a symbol. By rotating the arrows at the bottom, you can select which symbol to work on. On the left hand side is the key to unlocking that face of the negg. (Make sure the symbol on the top of the negg, and the symbol on the top of the scroll match!). Each face of the negg will need 3 of each color, and 3 of each symbol. The key on the left side tells you where each symbol/color will go on the puzzle. On the bottom of the key, you will be able to select the color and symbol to place on the negg. You can submit each side seperately. We have included some examples below. Each of these color/symbol combinations will be used ONCE on the negg puzzle. Example 1 Explanation: Example 1 shows that 3 fire symbols on the first set of squares will overlap with the fire symbol on the second set of squares. (as you can only have 3 of each symbol on the grid). 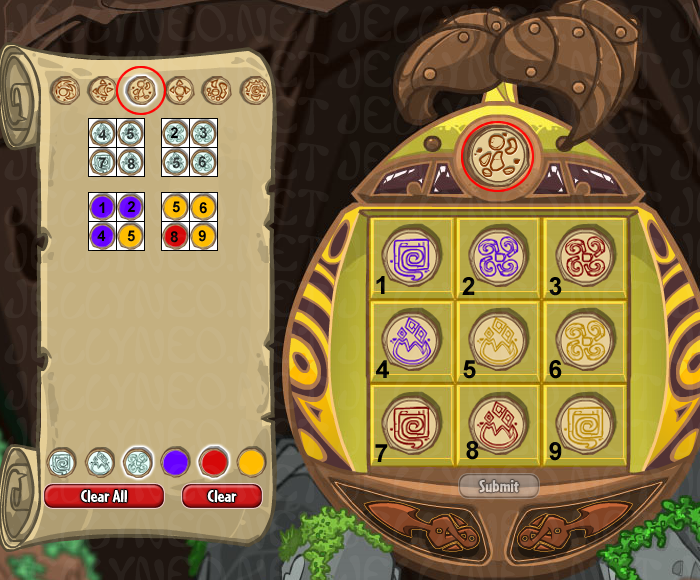 This tells you, that the first set of symbols goes on the bottom left of the negg grid, and the second set of symbols goes on the top right of the grid. The next set of squares shows us the colors. The yellow in the first set, will have to overlap with the yellow in the second set. (again, you can only have 3 of each color on the grid). 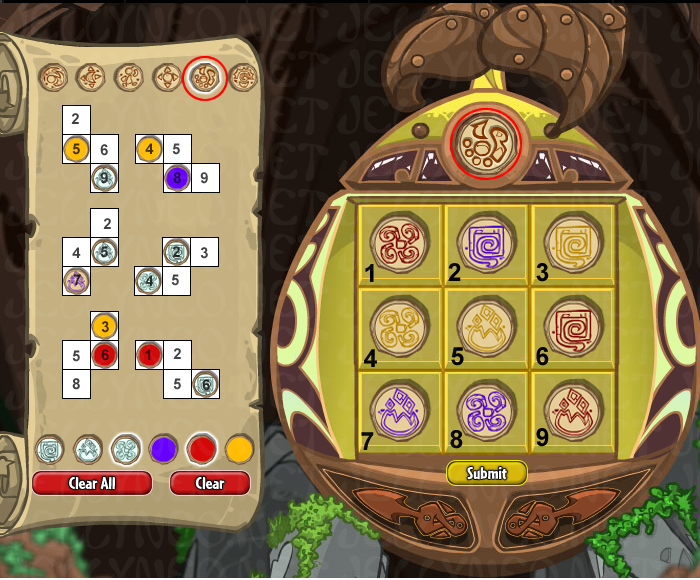 This tells you, that the first set goes on the top left of the negg grid, and the second goes on the bottom right. Once you have those sorted, you can logically work out which symbols/colors are missing from the grid, and fill them in appropriately. Once you have obtained the Amulet, you will need to equip it to your pet before entering the Battledome. Using the Ancient Negg Amulet, you will easily defeat the Neggbreaker and earn the Ultimate Negg of Destruction. This year, you can earn a bonus prize each day by finding ten plain plastic neggs hidden around the site. They are hidden in the same places for everyone. Once you find all ten, and bring them to Kari, she'll reward you with one of the following prizes.